Get to know Pamela Yellen as she reveals things about herself and Bank On Yourself that she’s never discussed. Bank On Yourself is a company that specializes in helping people achieve their financial goals and objectives using a little-known variation of a whole life insurance policy, combined with powerful financial principles not currently taught in schools or universities. The company’s mission is to educate Americans and help them achieve financial security and peace of mind. The Bank On Yourself concept is similar to the Infinite Banking Concept, Becoming Your Own Banker, 770 Account and Income for Life. Bank On Yourself was founded by Pamela Yellen in 2002, because of Pamela’s experience and frustration using conventional financial planning and investment methods. Disappointed with the results she was getting when managing their investment program themselves, Pamela and her husband Larry hired three of the country’s top investment and planning firms in succession over a period of a decade to manage their retirement account. These companies were always on the lists of the country’s top-ten financial advisors and asset managers. They all charged hefty fees and all three of them lost Pamela and Larry money during a period that included the longest-running bull market in history! 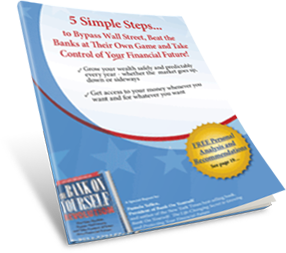 Get instant access to Bank On Yourself's FREE 18-page Special Report, How to Safely Grow and Protect Your Wealth, Even When Stocks, Real Estate and Other Investments Tumble, plus timely briefings about issues affecting your money and finances. Pamela was introduced to the concept when one of her clients (who’s a financial advisor) mentioned it to her. Pamela was intrigued, but skeptical – it sounded “too good to be true.” She spent months investigating it before implementing it herself to see if it would really work. When her advisor set up whole life insurance policies for both Pamela and Larry, they later discovered the policies had been incorrectly structured. Policies that aren’t structured correctly can grow much more slowly, lose the tax advantages, or both. Because of the power of the Bank On Yourself concept, and the lack of financial advisors who understood all of the technical ins and outs, Pamela felt that she could best serve herself and many of her friends and associates who wanted competent, knowledgeable help implementing the concept by starting a company whose sole focus was educating the public and financial advisors about Bank On Yourself. Since its foundation, Bank On Yourself has grown into an organization that has helped more than 500,000 families nationwide. And a network of 200 specially trained Bank On Yourself Authorized Advisors now exists to help people implement this concept properly and maximize the lifetime results they receive from it. Pamela Yellen is a financial investigator who has appeared as a source on every major radio and TV network, including ABC, NBC, CBS, CNN, Fox, and NPR, and has been featured in thousands of publications and websites, including Bloomberg BusinessWeek, Time, Associated Press, Ladies Home Journal, Aging Today and AARP. 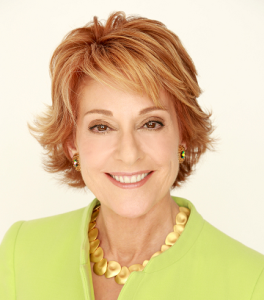 She is a professional speaker who has addressed more than 1,000 audiences throughout the US, Canada, Asia and Europe. Pamela is a two-time New York Times best-selling author. Her latest book is The Bank On Yourself Revolution. 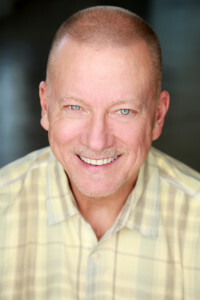 Pamela has also co-authored several books, including Zero-Resistance Selling, which she co-authored with Maxwell Maltz, M.D., author of the best-seller Psycho-Cybernetics (more than 30 million copies sold worldwide). Pamela was born in Buffalo, New York, and has lived in Sarasota, Phoenix and the San Francisco Bay area. She graduated from the University of San Francisco with a degree in psychology. Pamela and her husband Larry currently live outside of Santa Fe, New Mexico. They enjoy theatre and the arts, hiking, bird watching, traveling, gourmet cooking, working out (Pamela can leg press 200 pounds! ), reading, spoiling their two grandkids, and are involved in supporting numerous charitable causes. Pamela Yellen contact information. Lynn has 50 years of varied office experience in legal, oil and gas, and construction, in positions ranging from clerical, customer service, and office manager to department head, and has worked closely with Pamela for 16 years. Lynn heads up the Bank On Yourself Customer Service team. She lives in Texas with her husband, Paul and their three dogs. Lynn enjoys gardening, cooking, Steeler football, fishing and boating, home improvement projects (especially tile work) and casino outings. Stephanie has over 20 years customer service and management experience in retail, office, sales, and purchasing. Some of her positions included retail store management, payroll clerk, office manager, finance manager, bookkeeper and purchasing agent. She is certified in computerized accounting and has a master certification in Microsoft office applications. Stephanie has been with the Bank On Yourself team for 11 years and lives in north Texas with her fiancé and three children. She enjoys reading, billiards, swimming, home renovation projects, hanging out with her kids, and is an avid Red Sox fan.